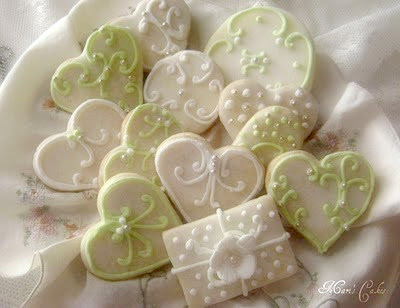 The Internet facilitates us many websites that teach or sell courses to make decorated cookies. 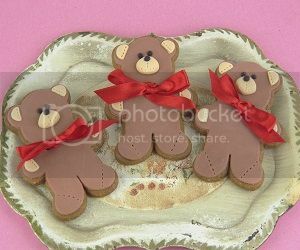 Decorated cookies make a very nice gift and is a great family project to do with kids. 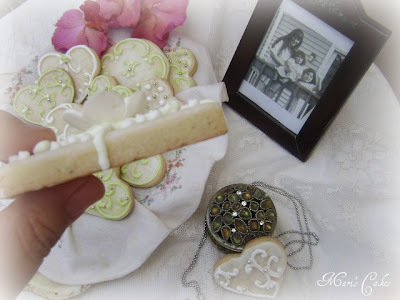 I 've done some a couple of times and it is quite gratifying to make, decorate and see your family and friends eat them with delight and thank you for giving them these detailed and beautiful homemade cookies. This is my first post with Decorated Cookies and I am sure there will be many more because these cookies were not enough for me to decorate. They sure are fun to make and the ideas to decorate them are endless. For me it was very relaxing and fun project. I always like to make these activities with my daughters because it makes it even more special. Group of cookies now decorated with gold and silver nonpareils. I get to eat my present cookie made especially for me! 3 ½ cups of flour (450 g) if it is very sticky, you can add 1/2 cup more at the end. 1. 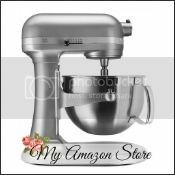 With the paddle attachment, beat butter until soft (1 minute), then add confectioner’s sugar already SIFTED after measuring or granulated sugar, slowly. Continue beating until the butter mixture is pale yellow in color, fluffy and sugar has dissolve to make a creamy mixture (about 2-4 minutes). Do not over beat. 2. Add egg and flavoring (this time I use 1 ½ teaspoon lemon zest but I commonly use extracts or pure vanilla). 3. Mix dry ingredients in bowl separately and add to the butter mixture. If the dough is sticky, add a little extra flour if you think necessary. 4. Cover the dough with saran wrap and put it in the refrigerator for 30minutos - 1 hour. The more chilled the better, especially in warm weather. 5. A. Divide the dough just out of the refrigerator in two and place each ball between two sheets of wax paper. With a rolling pin extend to desired thickness (typically 1/8 - 1/4 inch). The wax paper helps to prevent the dough from sticking and it makes it easier to roll. B. 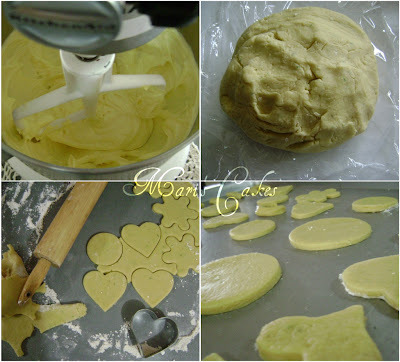 You can also roll the dough without wax paper, sprinkling a little flour on the work table to prevent sticking. You can try both ways and decide which is best for you. See notes. 6. Bake at 350 ° F (175 ° C) by 8-10 minutes approx. or until lightly brown in bottom. 7. Leave to cool. 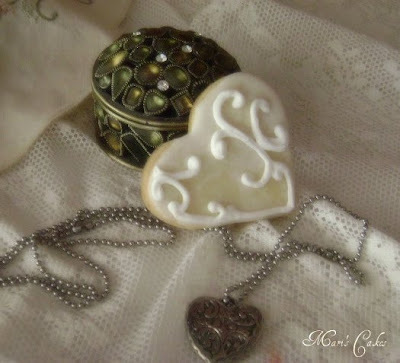 Decorate to taste; there are no limits let your imagination run wild! See recipes below for Lemon Glaze and Royal Icing. a) Why use confectioner’s sugar? 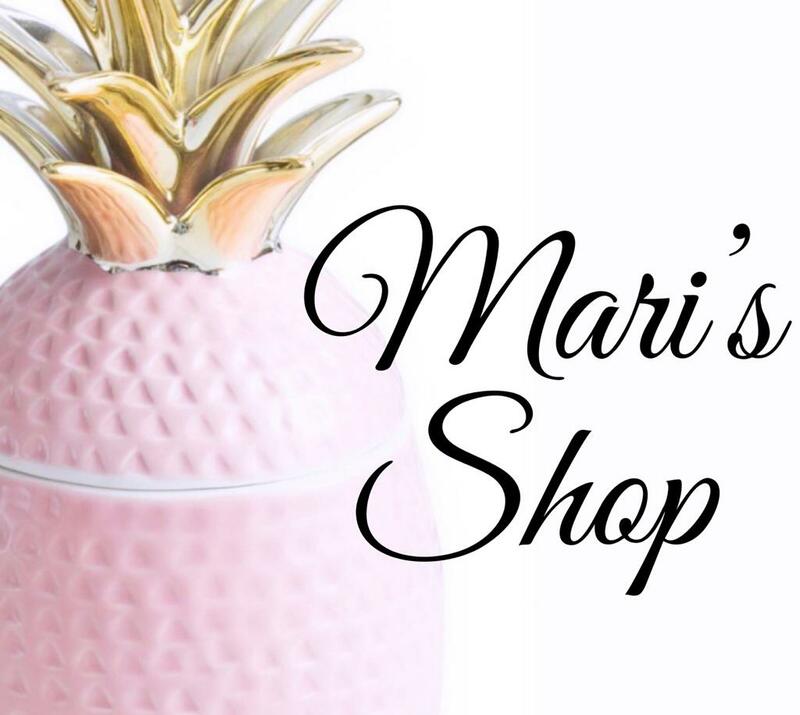 Although you can use regular granulated sugar, confectioner’s sugar dissolves more easy and produces a completely smooth texture in the cookie which makes it much more enjoyable when eating and gives it a more appealing texture. b) Instead of step # 4 and # 5, I have noticed that what works for me and helps my cookies come out better is to: divide the dough into 4 equal portions. Roll each portion of dough into an 1/8 - 1/4 inch thick between 2 sheets of plastic wraps and chill it for at least two hours. At times I've left the dough overnight. After chilled, work with a portion of dough at a time (leaving remaining dough in the refrigerator), remove the top plastic sheet, cut the dough with cookie cutter of your choice, placed on baking sheet and bake at 375 ° F (190 ° C) for 8-10 minutes. Repeat the procedures with the remaining dough, allow cookies sheets to cool in between. c) In humid or rainy days you may need more flour. If you find that after you mix everything the dough needs more sugar you can add more sifted powder sugar only, and mix a few seconds until incorporated. You should keep in mind that if you're going to decorate cookies with icing, that also makes the cookies sweeter so do not use more sugar than called for in the recipe. 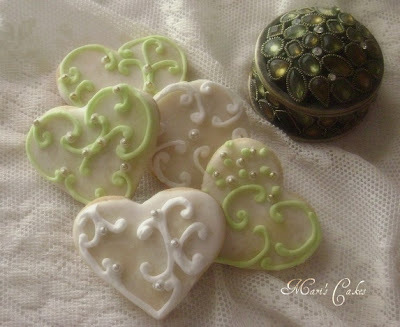 My favorite icing for cookies is royal icing because it dries to a matte finish, smooth and hard at the same time. 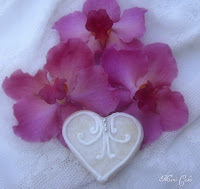 Royal icing can be done in two ways, see recipes HERE. 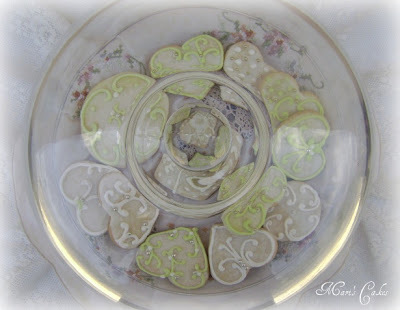 For the cookies I baked today I used a lemon glaze with icing details. 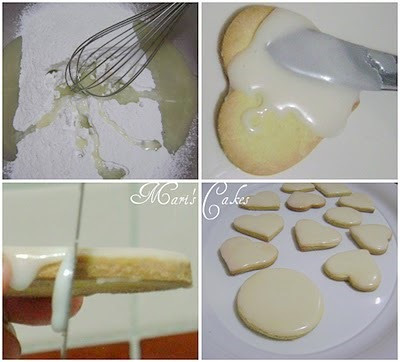 For these cookies I wanted to use the following glaze because it is faster to do and I was looking for a combination of the tartness of the lemon with the sweetness of sugar. 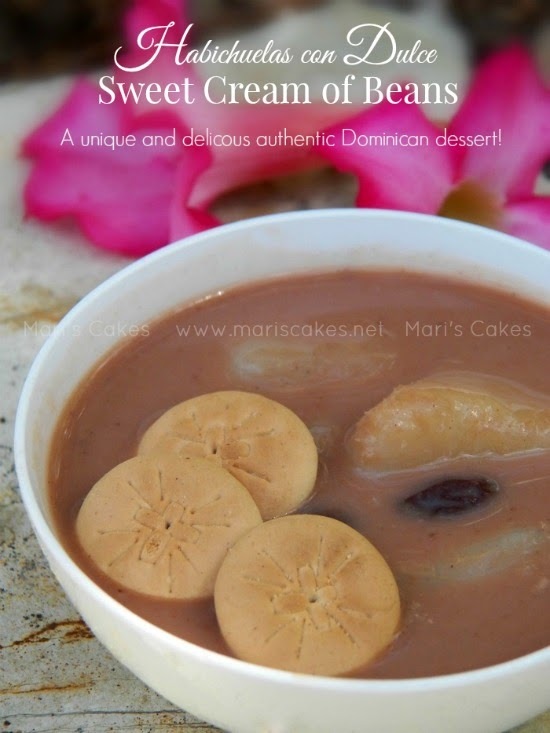 This together with the taste of the butter cookies is DELICIOUS. In a bowl, whisk together the sugar and the lemon juice until smooth. Spread on cookies evenly, you could do an outlining with royal icing using tip#2 if you prefer, I decided for this occasion not to. 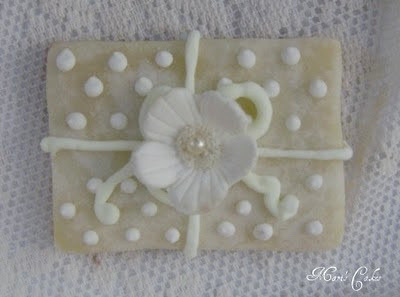 Let set until completely dry before decorating and outlining with Royal Icing. 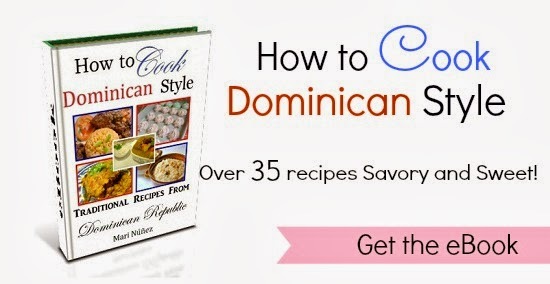 Happy Mother’s Day to all the Dominican Moms, that celebrate there special day today. May the Lord bless you today and always.